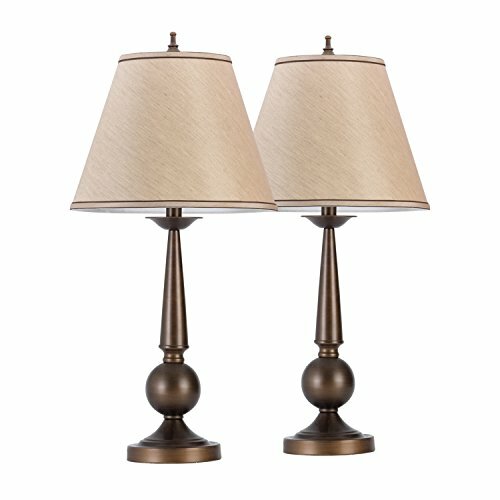 Globe Electric's set of two 27" table lamps are a perfect way add a classic antique look to your space. The On/Off rotary switch is conveniently located at the base of the lamp for quick and easy use. The classic design is very versatile making them great for use in bedrooms, living rooms, hallways, and basements alike. No assembly required. Includes a 6-foot cord for added convenience and requires two 60W equivalent A-Type E26 light bulbs (sold separately) - one bulb per lamp.